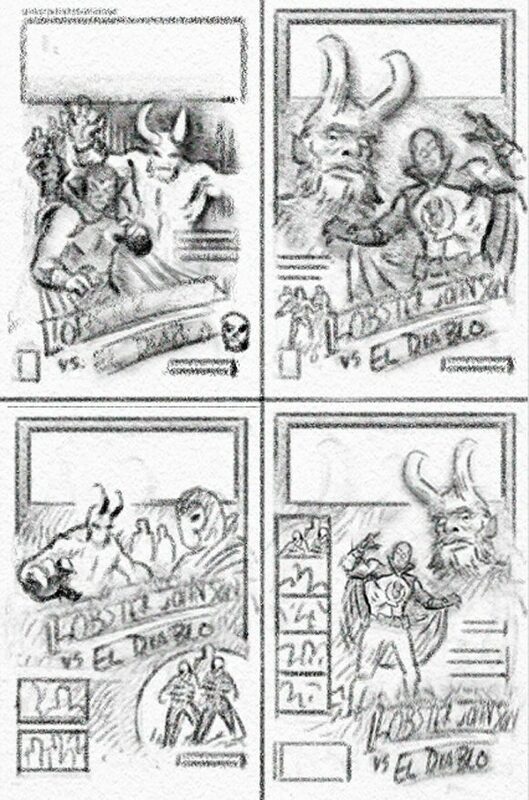 Hellboy Day is Saturday, March 23, and we’ve got a funky tidbit for you to whet your demonic appetite — a behind-the-scenes look at Paolo Rivera’s cover for the upcoming one-shot, Hellboy vs. 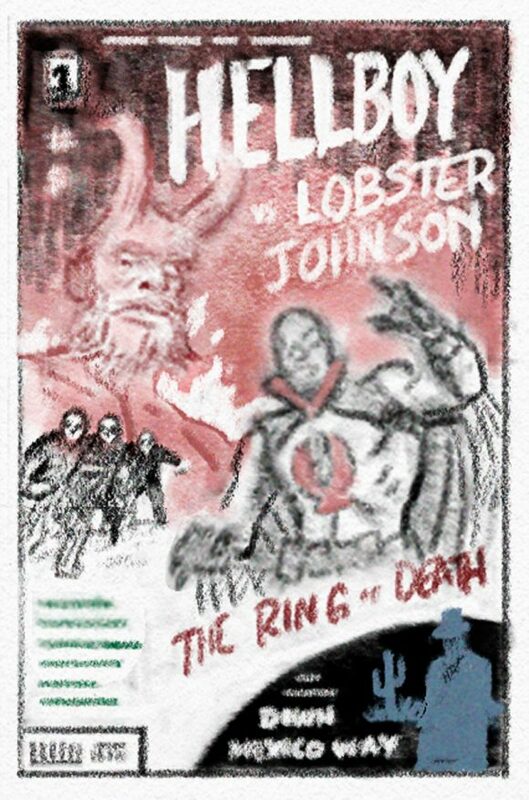 Lobster Johnson: The Ring of Death. This was one of those few times where everything just fell into place. 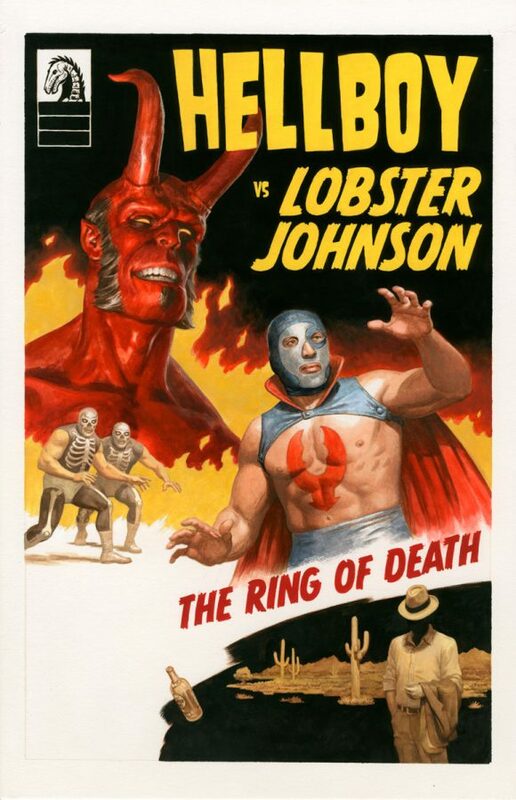 Editor Katii O’Brien had asked if I wanted to do a luchador-style cover, and there’s only one correct response to that question. I looked up some vintage posters, listed all the things that needed to be included, and just tried to fit it all in. 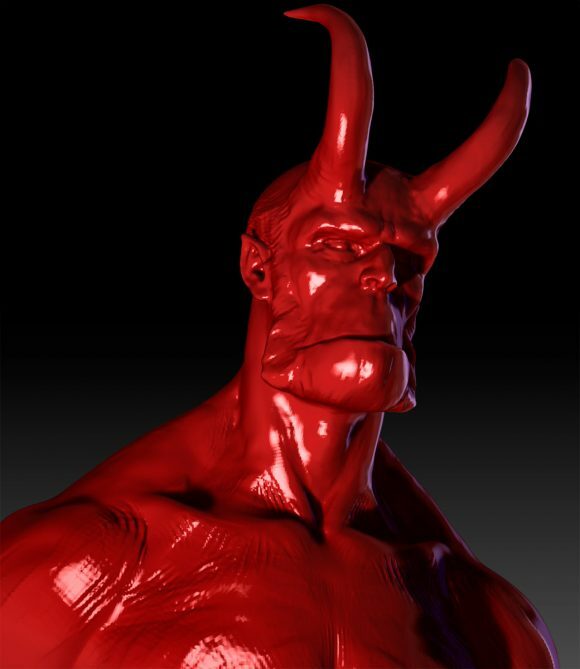 I had already sculpted a digital maquette of Hellboy (above), so I added some horns in ZBrush and lit it from below. The typesetting was all done in Photoshop using Adobe Typekit (which included some Comicraft fonts) but I did paint some by hand. We weren’t able to alter the Dark Horse logo for print, but I painted it as a skeleton in the style of J.G. Posada. The original is gouache on illustration board, and the final image was “aged” in Photoshop, complete with faux folds. Two legends meet face to face! 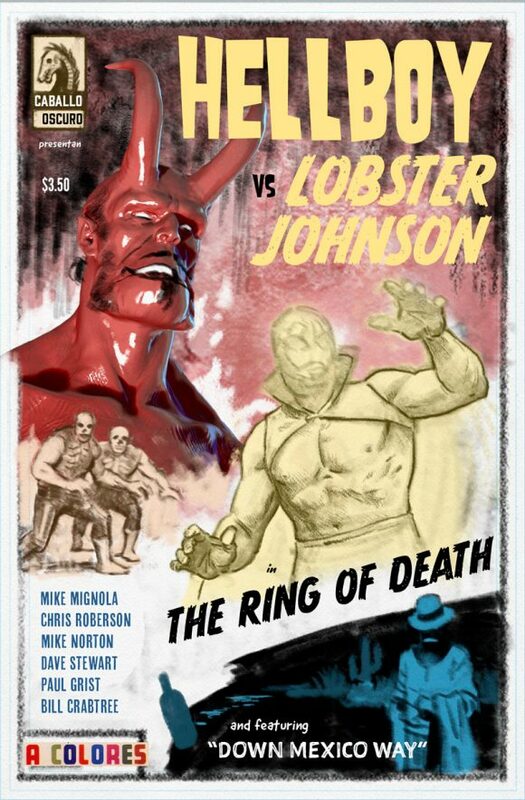 Who will survive when Hellboy and Lobster Johnson meet . . . in the RING OF DEATH? Hellboy’s infamous misadventures in Mexico are revealed in this double-barreled one-shot! 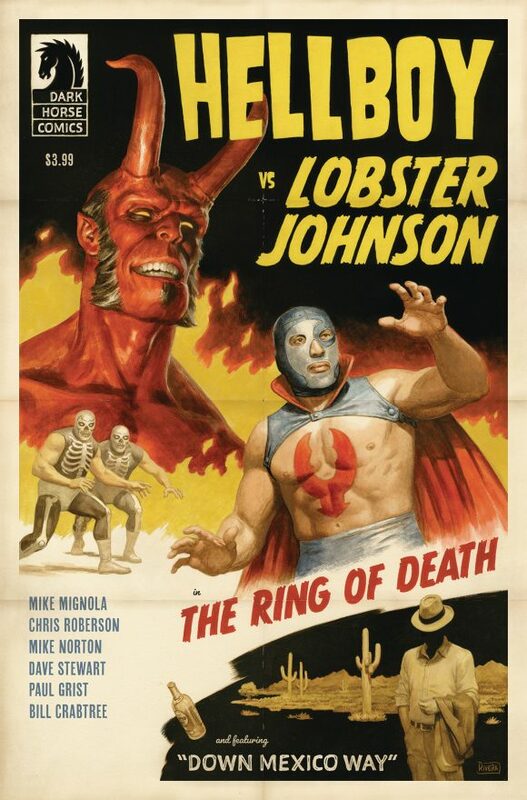 Mike Norton draws Hellboy’s ill-fated turn as foe to Lobster Johnson in a luchador movie, while Paul Grist returns to draw the Visitor as he lurks in the shadows with troubling doubts about his decision to spare Hellboy.